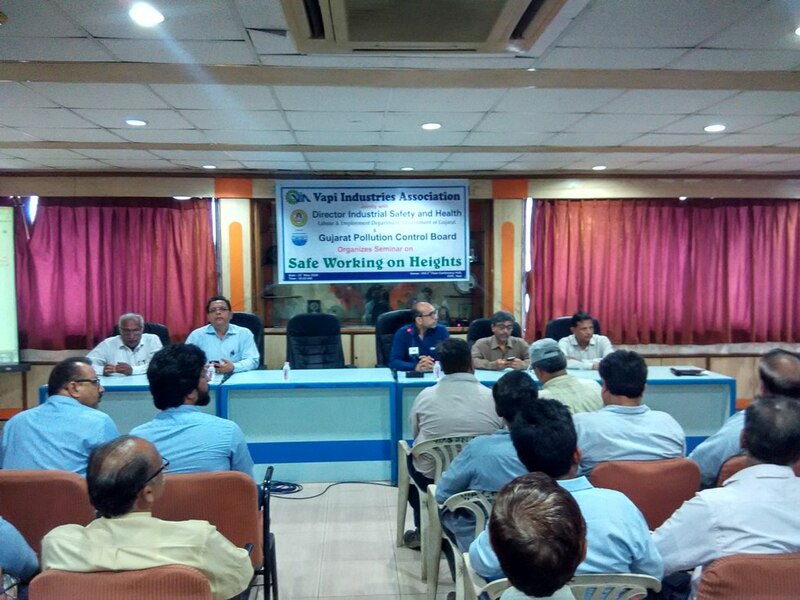 Vapi Industries Association (VIA) with its continued effort in creating awareness to maintain Safety amongst its Industries Members organized a Pre Monsoon Seminar on Working at Height at 10:00 am on 25th May 2018, Friday at VIA 2nd Floor Conference Hall jointly with DISH, Valsad, GPCB and Naik & Associates (Safety Consultant), Surat. Before monsoon almost every industries does repair and maintenance work at their factory premises which involves working at a height many a times. While working at height the industries workers and employees need to take special care for safety to avoid unwanted incidents and accidents. 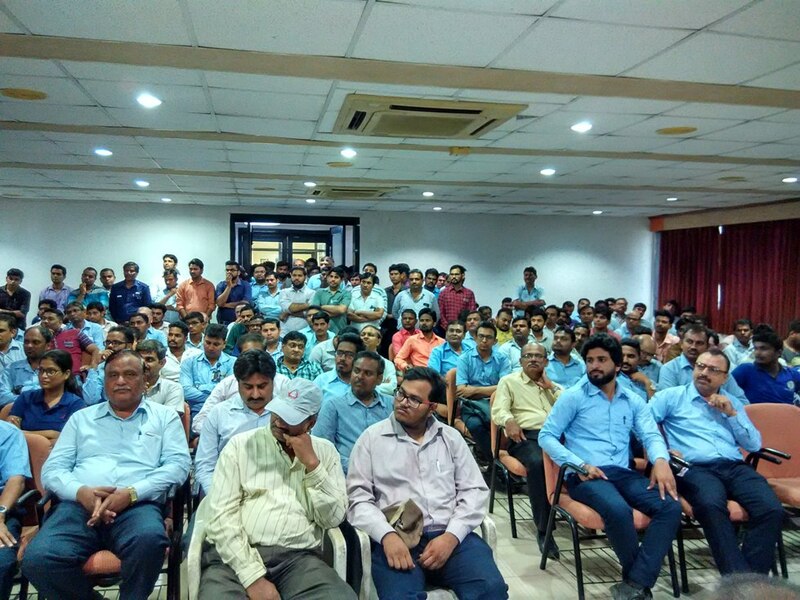 This seminar was organized to create awareness on various safety measures which needs to be taken while working on height. The keynote speakers Shri Yagnesh Naik, Safety Trainer Shri Nitinbhai Patel and Shri Kirtibhai Panchal of Naik & Associates, Surat shred their experiences with the present about various incidents and made them aware about various safety measures which needs to be followed while working at height. 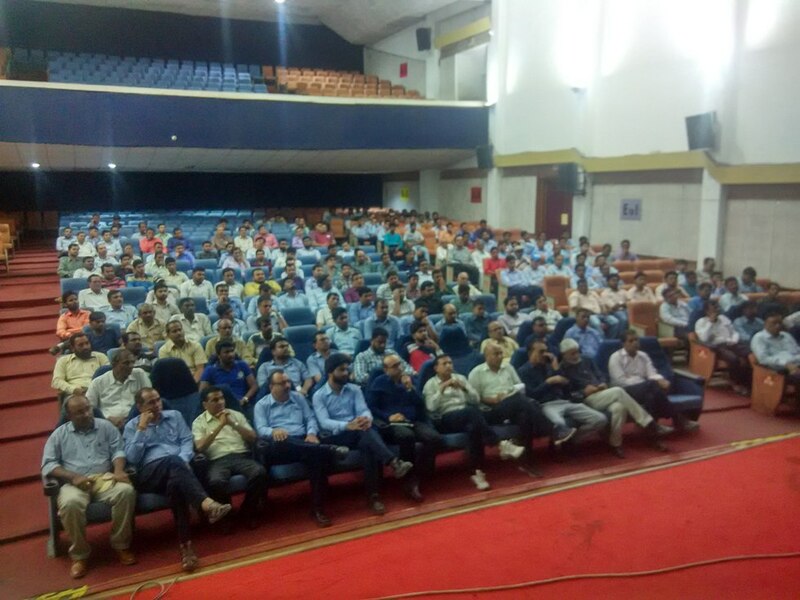 The seminar received such an overwhelming response and had such huge attendance that the venue has to be shifted from VIA 2nd Floor Conference Hall to VIA Auditorium to accommodate the participants and safety personnel from the Industries Members. 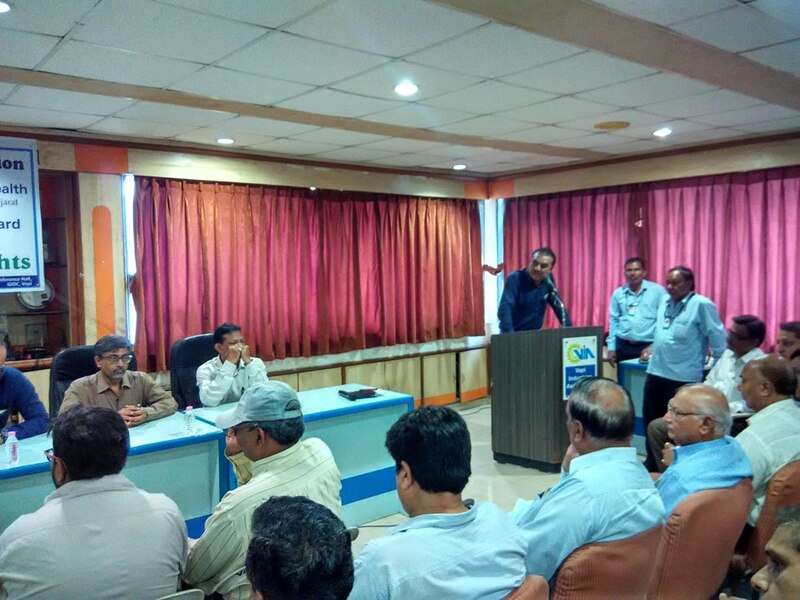 The seminar was held in the presence of Shri D K Vasava, Dy. 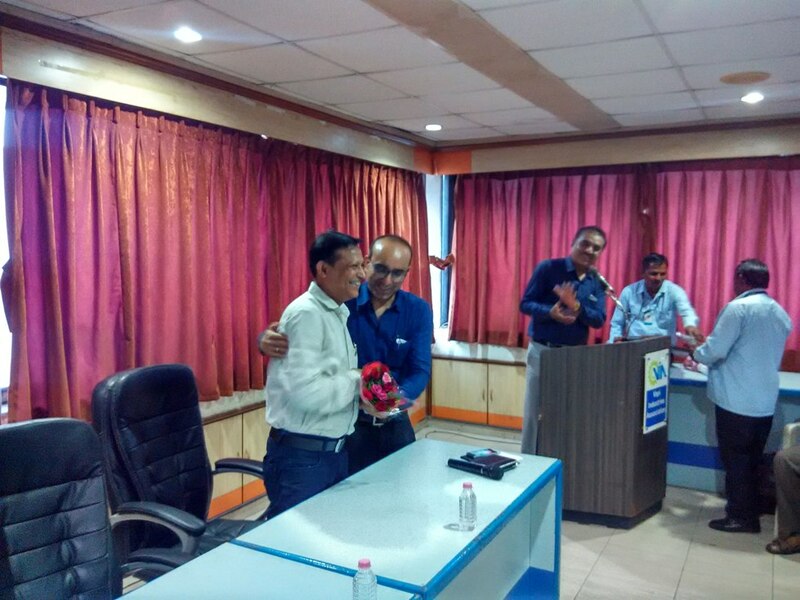 Director, DISH, Valsad, Shri B R Gajjar, Regional Office, GPCB, Vapi, Shri D K Acharya, Asst. Director, DISH, Valsad, Shri Prakash Bhadra, President, VIA, Shri Satish Patel, Hon. Secretary, VIA, Shri Kalpesh Vora, Chairman, Green Society, VIA and Shri Kamlesh Patel, Jt. Chairman, Green Society, VIA and many other Executive Committee Members and Members of VIA. 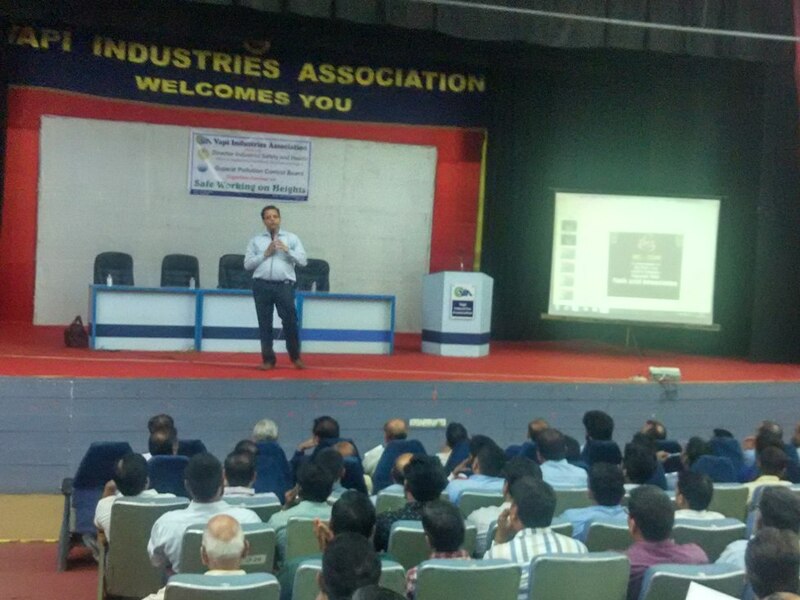 The seminar was well attended by over 225 safety personnel from the Industries Members.